Simple tweak that hides the interface while bookreading or lockpicking, allowing yourself to become immersed in the act. Discover the world of Skyrim anew through your character's eyes. [Available in both 30 FPS and 60 FPS.] Thieves and librarians everywhere rejoice! Immersive Bookreading: This mod removes the user interface while reading, showing only the book itself. 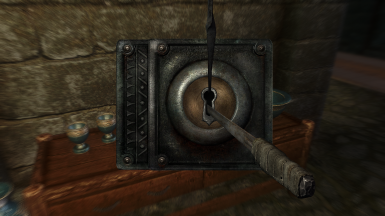 Immersive Lockpicking: This mod does the same, but for lockpicking. You'll only see the lock, and the lockpick. If you enjoy the mod, please endorse to increase visibility of my work. Thanks!
. Clean Menu: for a more elegant main menu.
. 60 FPS interface: faster UI animations.
. Windows of Skyrim: my upcoming work.